Several years ago I made two of these jackets, one for myself and one for my mother. It is an easy and straight forward crochet pattern from Caron rated as an intermediate level. I did have shorten the sleeve length since I am so short. This was an easy change since the sleeves are crocheted in a circle and there are no seams. One of the best features about this jacket is there are no seams to sew. 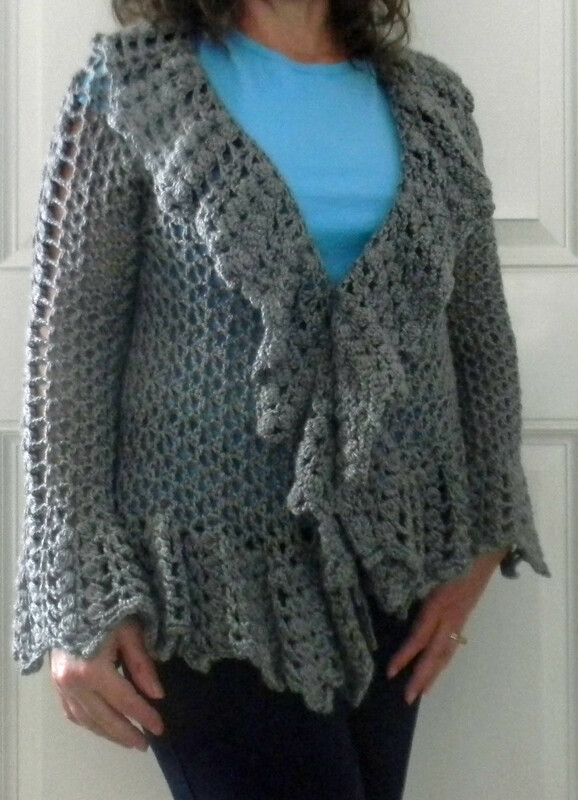 I crocheted this jacket with Simply Soft in a gray. I think gray goes with just about any color. I did not make the button link but sewed an antique button as a closure from my grandmothers collection. 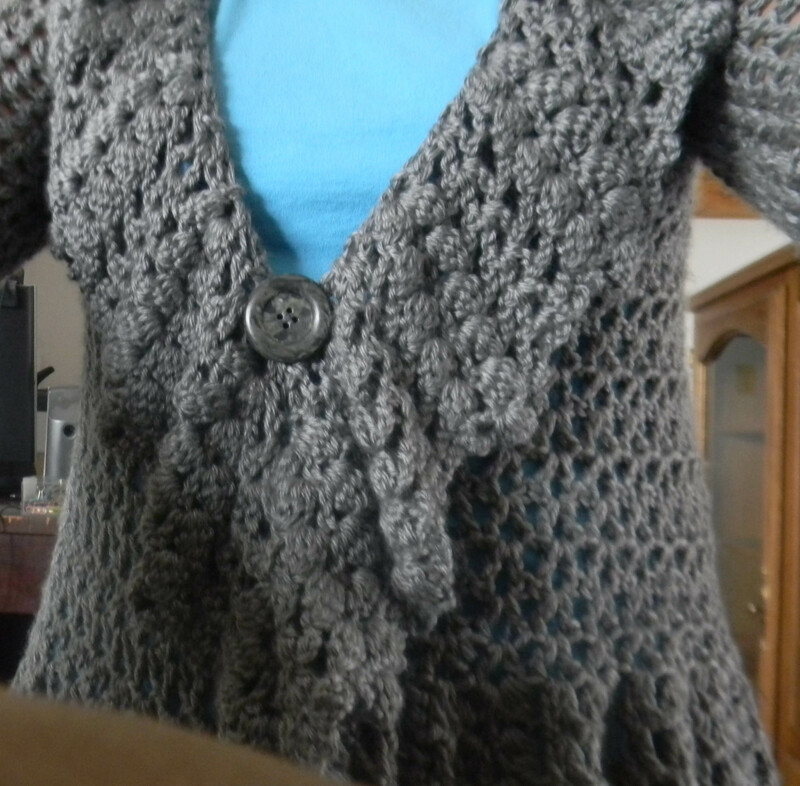 This was a large button but the crochet is so lose I have no problems getting it buttoned. This is a great winter jacket for Florida or perhaps a fall or spring jacket for cooler climates. This entry was posted in Crochet and tagged caron yarn, Crochet, crochet jacket, crocheted jacket, free crochet pattern, jacket. Bookmark the permalink. Too funny. It really is an easy project if she crochets! !